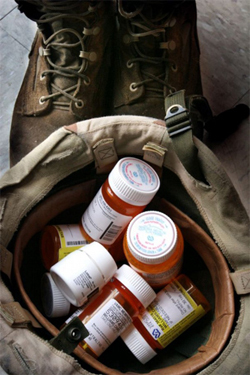 Click here to download and read the CCHR report The Politics of Psychiatry. Psychiatrists developed the racial purity ideology used by Hitler which lead to the Nazi euthanasia program and, later, ethnic cleansing in the Balkans. It is cold, hard fact that psychiatry spawned the ideology which fired Hitler's mania, turned the Nazis into mass murderers, and created the Holocaust. German psychiatrists violated the core moral principles of the medical profession and the Hippocratic Oath in devising the “scientific” justification for euthanasia before World War II. In 1999, the world looked on in horror at the chilling “ethnic cleansing” conducted in Kosovo and earlier, in Bosnia. However, very few are aware that this contemporary genocide was driven by the exact same psychiatric ideology that inspired Nazi Germany. In fact, psychiatrists also directed this bloodbath. Psychiatry’s history of atrocities can be found everywhere. But nowhere can we see them more clearly than in psychiatry’s very birthplace — Germany. 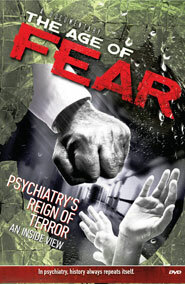 Drawing from extensive research and interviews with psychiatric experts and victims, the CCHR documentary “The Age of Fear: Psychiatry’s Reign of Terror, An Inside View” reveals the sordid story of psychiatry from its earliest beginnings to present day. It is a seldom–told tale of false claims, damaging treatments, and the ultimate in human cruelty. Click here to watch this shocking documentary.